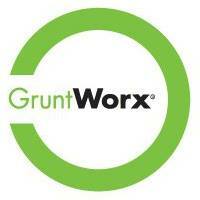 Gruntworx, LLC, is a Drake Enterprises company and leader in Cloud-based paperless tax workflow systems. Gruntworx provides a comprehensive and integrated family of web-based products that automate client tax document retrieval, organization, data entry, and review. The GruntWorx family of products has been in use for multiple tax seasons by thousands of accounting professionals – from sole practitioners to those working in large regional firms and the Big 4. GruntWorx is the product of choice for tax professionals – with more than 4 million processed tax forms this past tax season. To date, Gruntworx products have earned multiple accolades, including back-to-back Technology Innovation Awards and a Readers’ Choice Award from The CPA Technology Advisor, Accounting Today’s Top 100 Ones to Watch, and a K2 Annual Quality Award.